We’re preparing a masterplan for the Victoria Esplanade. With the Central Energy Trust Wildbase Recovery facility nearing completion in the middle of the park, and the He Ara Kotahi Bridge construction underway right next to it, we’re entering a really exciting time! 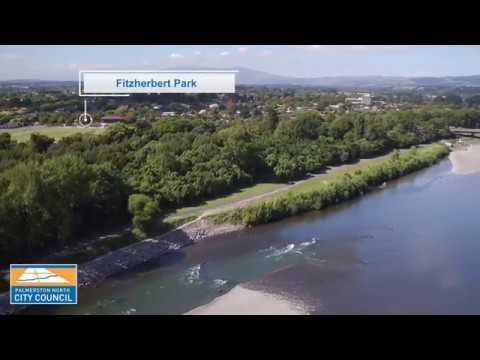 This drone footage shows the full extent of the Esplanade as well as neighbouring parks, facilities, and the Manawatū River. It was shot in March 2017 with the drone flying at 55 metres. The masterplan provides for the ongoing protection, development and management of Victoria Esplanade. The plan will form an integral part of making sure the city’s most popular public space is enjoyed by future generations. Over the last year we've undertaken plenty of background assessment work on the current state and use of the facilities at the Esplanade. We did this with Rangitāne and a range of experts collaborating together and we also synced in with our Manawatū River Framework document too. We canvassed key stakeholders on the main issues and we've also touched base with many park users to understand what you value, like and love about the space. Now it’s time to share our thoughts with you. Check out the documents in the ‘Downloads’ section to get a good feel for our plans. Remember this is a masterplan for a large reserve so it’s pitched at the ‘big picture level’ and doesn’t yet drill into the detail. The Esplanade will benefit from a character area focus to help preserve, enhance and manage the unique areas within the space. To improve the visitor experience in the Esplanade a much greater focus is needed on safe and convenient pedestrian movement and connectivity. A new entrance and driveway arrangement is needed as a priority from Park Road to improve access safety and convenience for all modes of transport especially with the opening of the He Ara Kotahi Bridge expected 2019. There needs to be more connection with the Manawatū River and more elements of Rangitāne culture expressed within the Esplanade. Provision for safe and easy vehicle access, movement and parking is important. These elements need to be designed, ordered and allocated efficiently so that those with mobility impairments, minivans and coaches (with young and old passengers) and service vehicles are catered for as a priority. The masterplan was consulted earlier this year as part of Council’s 10 Year Plan process, as it forms a key part of the strategic moves we have planned for the city.